I have to admit that it took me a little while to really appreciate the beauty of this book. I was initially put off by what seemed like, on one hand, an overly precocious narrator (“I was eating a peanut butter and honey sandwich and drinking a Dr Pepper. To be honest, I find the whole process of masticating plants and animals and then shoving them down my esophagus kind of disgusting…) and, at the same time, an overly adolescent voice and consciousness. I know this sounds contradictory but, the point is, it took me some time to break through the superficial to get to the heart of a touching story. I almost missed it, but a friend assured me it would get better, so I kept going. Glad I did. The first thing you need to know is that this is not an easy read. It is the story of Aza, a teenage girl, who is trying to manage her life while suffering debilitating Obsessive Compulsive Disorder (OCD). 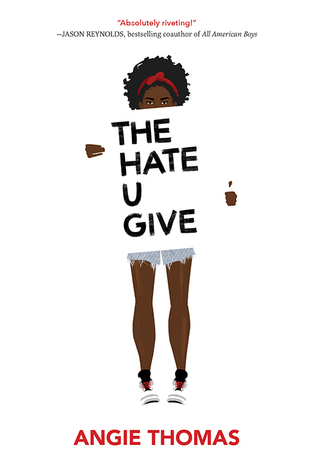 Her disorder (from which, by the way, the author John Green also suffers) forces her to spend enormous amounts of energy dealing with her fear of contracting “C. diff”, clostridium difficile, a type of bacteria that causes severe colitis. She obsesses over the myriad bacteria that thrive inside of her, the microbes breeding, and the levels of sanitation she can – or can’t – control. At times her concern about the ecosystem thriving within her body is so severe that she resorts to drinking hand sanitizer to try to control it. Against this background, Aza is trying to live a teenage life. She hangs out with her BFF, Daisy, who shows very un-adolescent tolerance for Aza’s idiosyncrasies. She begins a sweet romance with Davis, a wealthy boy whose father has mysteriously vanished from his life, leaving Davis and his brother to cope alone. Except for the servants. She experiences the usual adolescent traumas (a friend’s perfidy, uncertainty about her growing relationship with Davis, the Internet), but it is all colored and complicated by the OCD, which makes what should be normal adolescent angst far more difficult. In one of the more poignant moments, Aza finds that she can’t kiss Davis because of her paralyzing fear of what his microbes might do to her when they enter her body. Davis, a sweet and patient young man, is willing to wait, thinking she’ll be ready when she knows him better. But Aza knows time isn’t the issue. “I’m not gonna un-have this,” she tells him and we, the readers, are hit in the face with her future. I’m not going to spoil the ending for you except to say it’s pretty perfect for the story. Not in an unrealistic happy-ever-after way, also not in a dark and terrible way. In just the right way. And you’ll have to read the book to figure out what the title means. It’s been a while since I’ve posted on this site – but not because I haven’t been reading. I’ve read a few books I’ve liked, a few that were just okay, one or two that were pretty bad. But when I finished reading News of the World, I knew I had to share it with you. It is one of those great surprises that we encounter from time to time – a book that we love from the beginning to the end. The story takes place in post Civil War Texas (an added bonus for me, as I spent my childhood in Texas and was familiar with many of the locations, as well as a little of the history). Captain Jefferson Kyle Kidd, an elderly widower, makes a living by travelling to far-flung towns and reading newspaper stories to the residents, who receive little information about the world outside their own town or area. In his travels, he is asked to take on the responsibility of returning Johanna, a young girl, kidnapped at an early age by a tribe of Kiowa Indians, to her family. From there, the story unfolds: the adventures of traveling in often dangerous territory, the adventure of building a relationship between a 70-year old man and a 10-year old girl who remembers nothing of her pre-abduction life, and the adventure inherent on the vast Texas plain. The story captured me from the beginning. The author, Paulette Jiles, was a poet before she became a novelist, and her facility with language goes a long way to bringing the Texas plains and the hardship of crossing them to life. There is also plenty of adventure – raging rivers, bad guys, bad weather – but there is more than an abundance of heart in the lovely tale of old man/young, traumatized girl and the relationship they build. There is also a vast cultural gap that must be overcome, for her rearing by the Kiowa left her unfamiliar with the ways of cities and towns through which they traveled. This leads to some discomfort, but also some gentle humor. For example, at one point the captain must explain to Johanna, who has plans to scalp a white man who menaces them, that this “is considered very impolite” and simply isn’t done. This book is charming, heart-warming, and still manages to be a page-turning adventure. I encourage you to pick up a copy – I feel certain you’ll be glad you did. I’m writing this post on my iPad while on vacation in Maui, so forgive me if the formatting comes out a little weird and the review short, but I really couldn’t wait to tell you that you should read this book. First of all, it is a great vacation book in that it is funny and quirky and light. But it is also much, much more than that. It is heartbreaking, human, and transformational. If this sounds paradoxical, that’s probably because it is. The heroine, Eleanor, is an oddball. As you first get to know her, you can understand why her office mates make fun of her behind her back. However, as you learn her story you will understand her background and be in awe of her courage and fortitude. As you watch her transformation, you will cheer her on and, ultimately, fall in love with her. 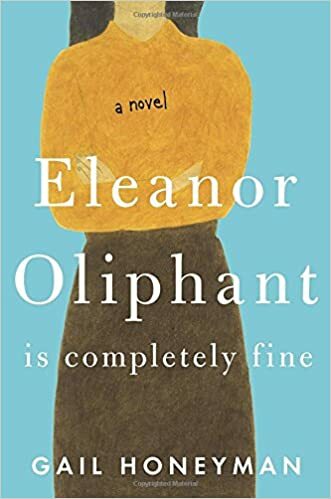 From a purely literary point of view, the author, Gail Honeyman, has made some interesting and excellent choices about her portrayal of Eleanor – her language, habits, etc. – as well as how she has rolled out the information that the reader needs. Well done, Ms. Honeyman! Do yourself a favor and get your hands on a copy of this book. There aren’t many books that would inspire me to write a blogpost while on a Hawaiian vacation, but this is definitely one of them. Are you in a book club? I am – a great book club with wonderful people. So . . . if you happen to be one of those people, please know that what I’m about to say doesn’t apply to any of the books that you, personally, have recommended. When do you know it’s time to pull the plug? Is it just something I picked up somewhere, perhaps seduced by an enticing blurb on the cover and a quick flip through some pages? Generally speaking, if it’s the second situation, I feel pretty comfortable putting it down, but I know a number of people who feel compelled to finish every book they begin. Are you one of them? If so, what’s your rationale (not that you need an actual rationale – just why do you keep reading?)? Do you have a page limit (“If I don’t like it by page ___ , I’ll quit”) or are you an optimist (“I know this will get better soon”) or are you just NOT A QUITTER (emphasis intended)? Whichever you are, I respect your persistence in the face of hardship! I am not generally in the above category. As I say in my blog heading, I believe life’s too short to read bad books. BUT – what if it’s a book club book? Well, I can tell that I can go on indefinitely with this, so instead, if you’re interested in finding out what our favorites have been, go to our website, Literary Lite Book Club. Look at the titles with stars next to them on the page titled “Our Reading List”. But now I have to admit – we’ve had a few that haven’t worked out as well as we hoped, which bring me to the question above. Just how much of an obligation do you believe one has when one is a member of a book club? Do you read the whole thing because there is an obligation to the group? Do you skim the entire book, just to have the main ideas? Do you read a certain number of pages or to a certain time limit and then, if it just isn’t working, stop and be prepared to explain your problems with the book? If so, what’s your stopping point? Do you stop and look up reviews so you can fool your group into believing you’ve read it (not that I would ever do that)? Or do you have another, creative, way of handling this thorny situation.